Do you live in and around the St. Louis area? Do you love books? Then you should enter to win tickets to go to Penned Con on September 21-22. I’ll be there. Will you? 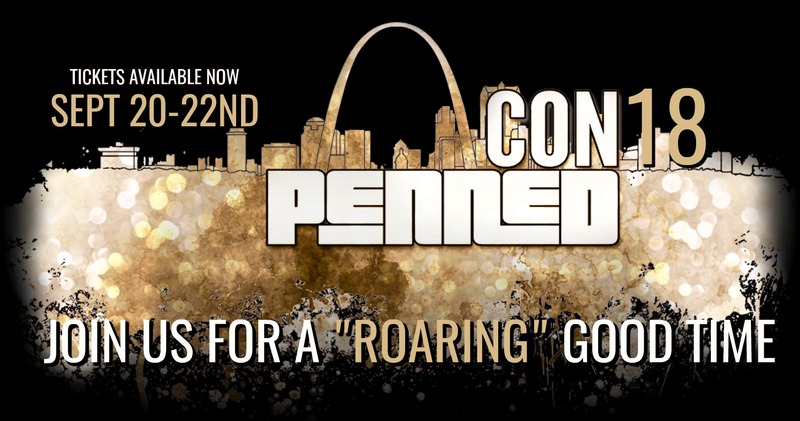 That’s right, I’m giving away two 2-day tickets to Penned Con, which will occur at the Red Lion Hotel St. Louis City Center in St. Louis, Missouri. All you have to do to enter to win is participate in the activities below. The contest will run through July 31 and a winner will be chosen on August 1.